Fotona TightSculptingTM is a unique dual-wavelength, non-invasive laser treatment for sculpting and skin tightening on all body areas. The exclusive delivery modes are used in concert for hyperthermic adipocyte destruction and collagen remodeling with exceptional results. The procedure is a fast, safe and effective non-invasive alternative to laser lipolysis, with no consumables or downtime required. 1st step: Deep skin tightening and fat reduction with PIANO® pulse​ The unique, super long Nd:YAG pulse mode is designed for homogenous tissue heating comfortably, safely and rapidly, by concentrating energy delivery to subcutaneously stimulate the metabolism of fat cells, leaving the epidermis intact. PIANO® mode extends the pulse durations to the seconds regime, resulting in full-thickness bulk heating with an overall synergistic tightening effect. 2nd step: Improvement of skin surface laxity with SMOOTH® pulse​ The second stage consists of a revolutionary non-ablative Er:YAG SMOOTH® mode, ideal for skin tightening. The intense, controlled surface tissue heating stimulates collagen remodeling and initiates neocollagenesis. The effects result in an overall improvement of laxity and elasticity in the treatment areas. The TightSculptingTM procedure allows for simultaneous large body area treatments using adjustable scanner area shapes and sizes. Moreover, Fotona’s innovative MatrixViewTM temperature monitor ensures effective and controlled treatments with ultimate patient comfort and safety. 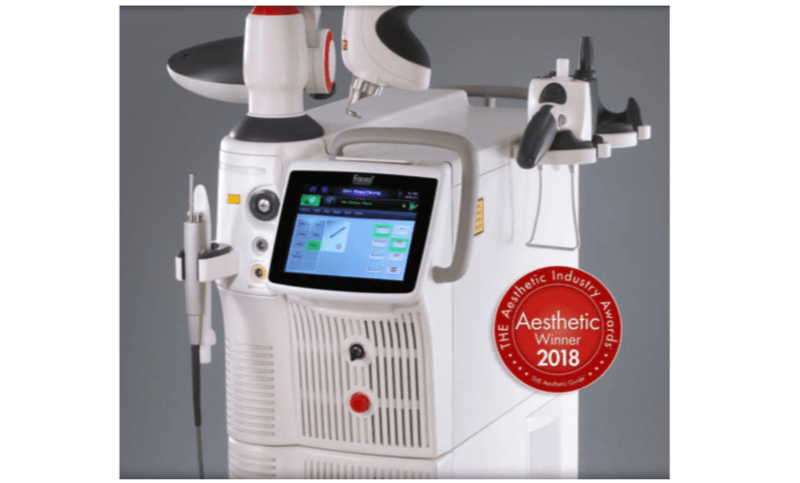 Fotona’s high-performance L-Runner scanner (Nd:YAG) with MatrixViewTM for body sculpting and T-Runner scanner (Er:YAG) for skin tightening, used together with the SP Dynamis Pro laser system, are a winning combination enabling maximum comfort and efficiency with each procedure.